She was selected for Granta’s once-a-decade list of Best of Young British Novelists and was chosen by Margaret Atwood to be part of the Rolex Mentor and Protégé Arts Initiative. She is the co-creator and lead writer of the bestselling smartphone audio adventure app, Zombies, Run! She contributes regularly to the Guardian and presents Science Stories on BBC Radio 4. She lives in London. CLICK HERE FOR MORE STORIES BY NAOMI ALDERMAN. One thing’s for sure, The Power (2016 in the UK, Oct 2017 in the US) demands attention. 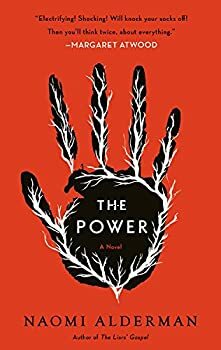 Margaret Atwood has given it her blessing and I’ll eat my hat if The Power doesn’t have its own Netflix series sometime soon. 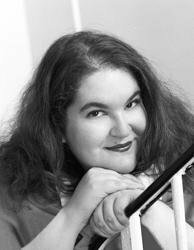 Naomi Alderman could well be the next big name in subversive, feminist fiction. The Power asks — what would happen if all women could physically dominate men? Over five years, Alderman answers that question and the answer is explosive, bloody, wild and thought-provoking.